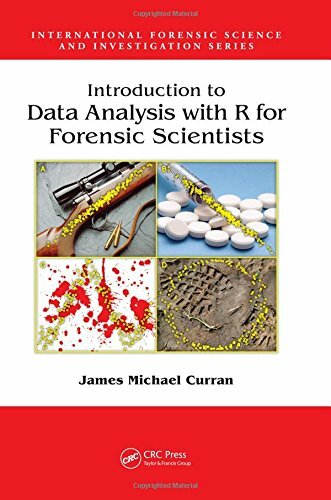 [PDF] Introduction to Data Analysis with R for Forensic Scientists (International Forensic Science and Investigation) | Free eBooks Download - EBOOKEE! Description: Statistical methods provide a logical, coherent framework in which data from experimental science can be analyzed. However, many researchers lack the statistical skills or resources that would allow them to explore their data to its full potential. Introduction to Data Analysis with R for Forensic Sciences minimizes theory and mathematics and focuses on the application and practice of statistics to provide researchers with the dexterity necessary to systematically analyze data discovered from the fruits of their research. Using traditional techniques and employing examples and tutorials with real data collected from experiments, this book presents the following critical information necessary for researchers: A refresher on basic statistics and an introduction to R Considerations and techniques for the visual display of data through graphics An overview of statistical hypothesis tests and the reasoning behind them A comprehensive guide to the use of the linear model, the foundation of most statistics encountered An introduction to extensions to the linear model for commonly encountered scenarios, including logistic and Poisson regression Instruction on how to plan and design experiments in a way that minimizes cost and maximizes the chances of finding differences that may exist Focusing on forensic examples but useful for anyone working in a laboratory, this volume enables researchers to get the most out of their experiments by allowing them to cogently analyze the data they have collected, saving valuable time and effort. No comments for "[PDF] Introduction to Data Analysis with R for Forensic Scientists (International Forensic Science and Investigation)".